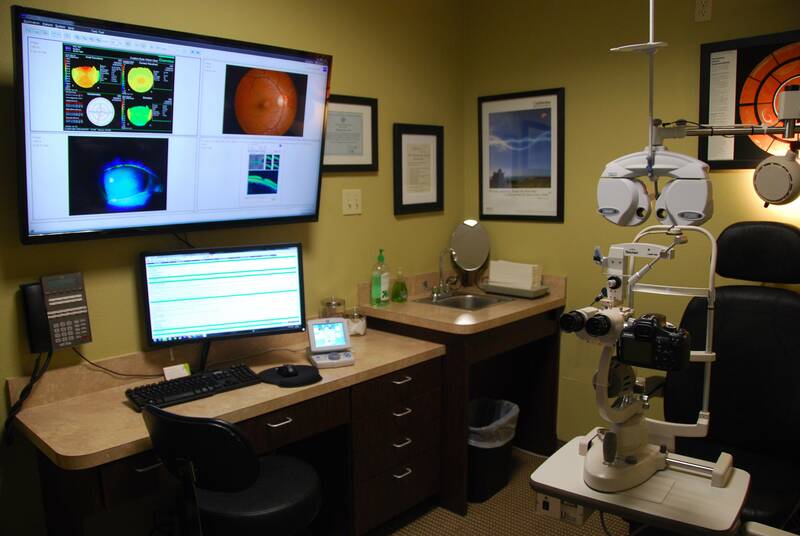 – An autorefractor evaluates the way an image is focused on the retina, where vision processing takes place, without the need for you to give feedback. This makes autorefractors especially useful when examining people who may have difficulty with a regular ("subjective") refraction. – Cover tests, in which the eye doctor will have you focus on a small object at a distance and will then cover each of your eyes, can detect even a very subtle misalignment that can interfere with your eyes working together properly (binocular vision) and cause amblyopia or "lazy eye." -Tonometry is the name for a variety of tests that can be performed to determine the pressure inside the eye. The most common method used is the "air puff" test – in which an automated instrument discharges a small burst of air onto the surface of your eye. Based on your eye's resistance to the puff of air, the machine calculates the pressure inside your eye – called your intraocular pressure. Though the test itself can be startling, there's no risk of eye injury from the air puff test as only air touches your eye during this measurement. Make an eye exam appointment in Cedar Hill today: (469) 272-3937.